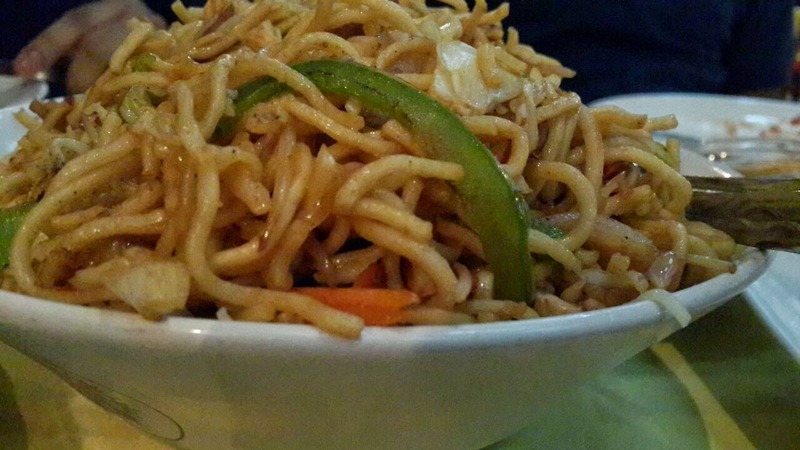 Among all the hustle and bustle of Bur-dubai, there lies a hidden gem for Chinese food. 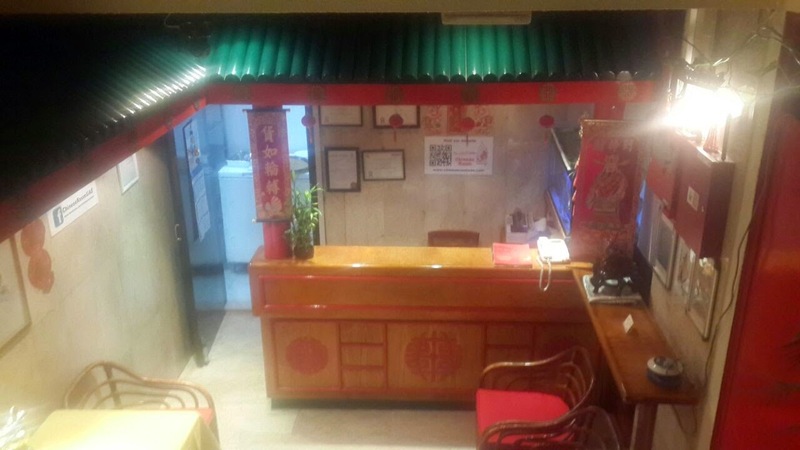 Chinese room is located along the main road and at the side of Kanoo Travel's. 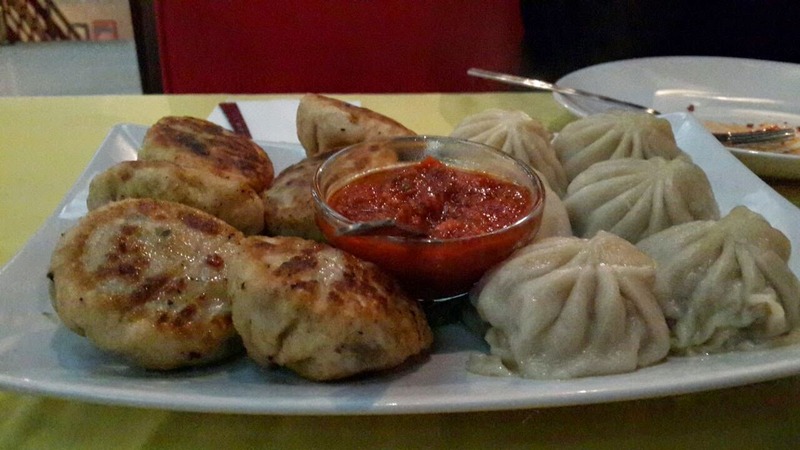 J first found this place and their authentic Momo's (Dumplings made from white-flour-and-water dough; meat, vegetable or cheese filling) and fell in love with it! Couple of days later we found ourselves here on date nights and before we knew it, it's now become our favourite Chinese restaurant! Here's what you need to know: Service - The service here is really good, with waiters not looking tired and smiling, happy to take your orders. Food - Since we've been here a few times, these are our favourite's in order of our love for them :) 1. Dumplings - (option available for steamed or fried)The dumpling's here are much larger in size as compared to Yalla' Momo's and just as tasty! I prefered the steamed one but the friend momo's are just as good and both go perfectly with the schezwan sauce. 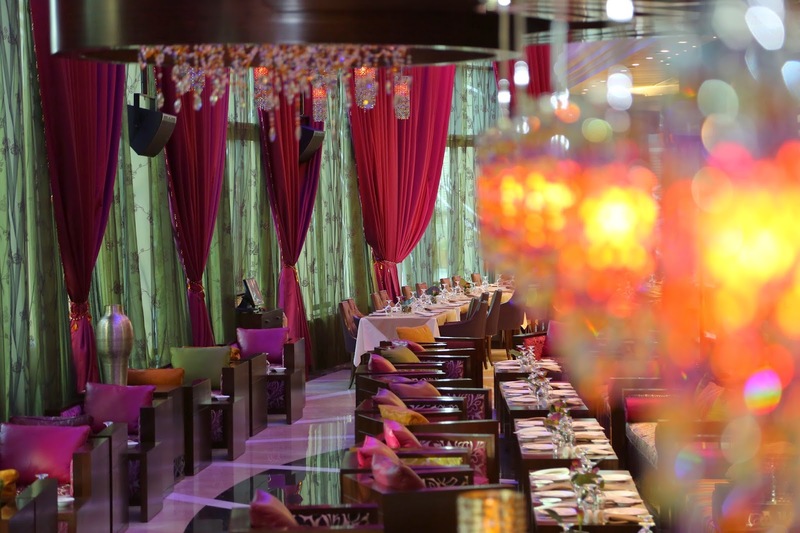 A perfect starter priced at AED 28/- for 12 pieces. 2. 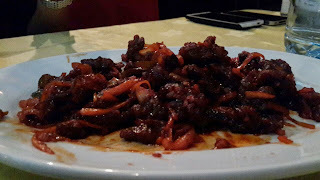 Beef chilli fry (dry) - This is another must try here. 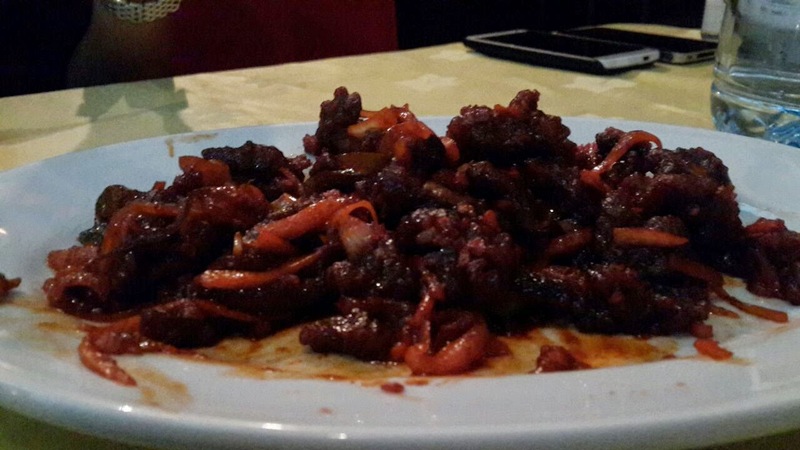 The crispiness of the beef goes well as a starter and even a main against a mixed noodles. The beef is thinly cut that you can even eat this with a toothpick! 3. 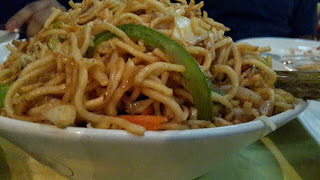 The rice and the noodles - The quantity here is perfect for the price you pay and each dish can be shared easily by 2 people. We really enjoyed the noodles here since the veggies were thinly cut as well and the mixed hakka noodles is a good mix of chicken, beef and prawns. One of my favourite items here is the desert - The crispy honey noodles. The only other place I love this is in India from Jim-Me's Kitchen in Bandra, Mumbai. 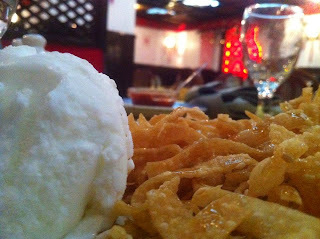 These thinly cut sheets are fried and mixed with honey and sesame and served with a dollop of vanilla ice-cream!